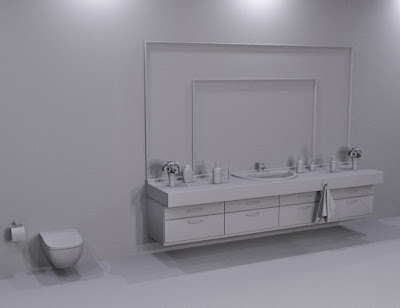 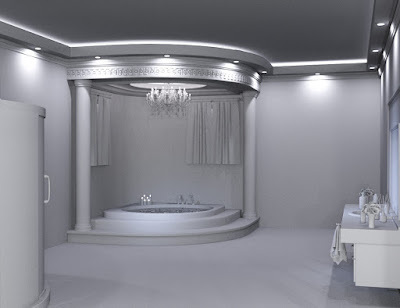 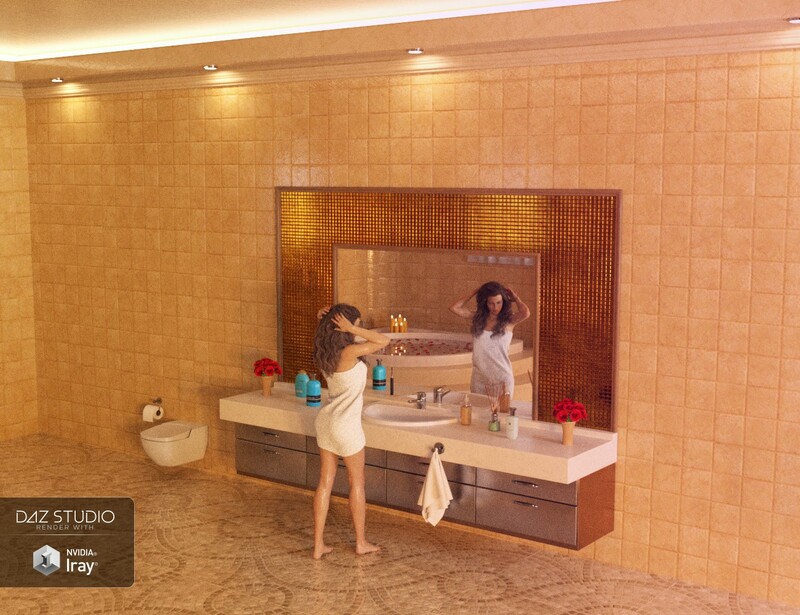 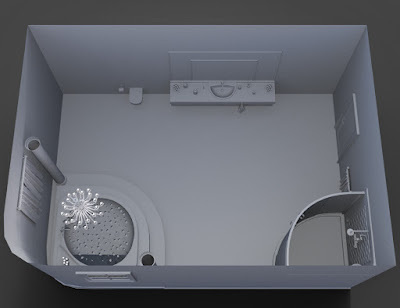 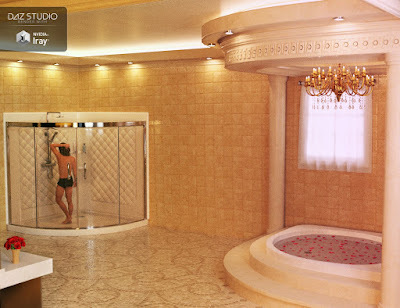 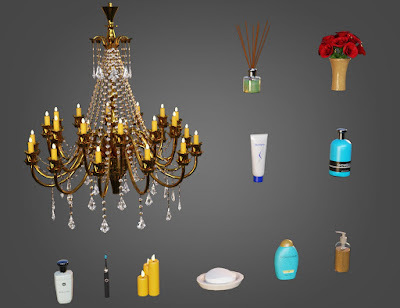 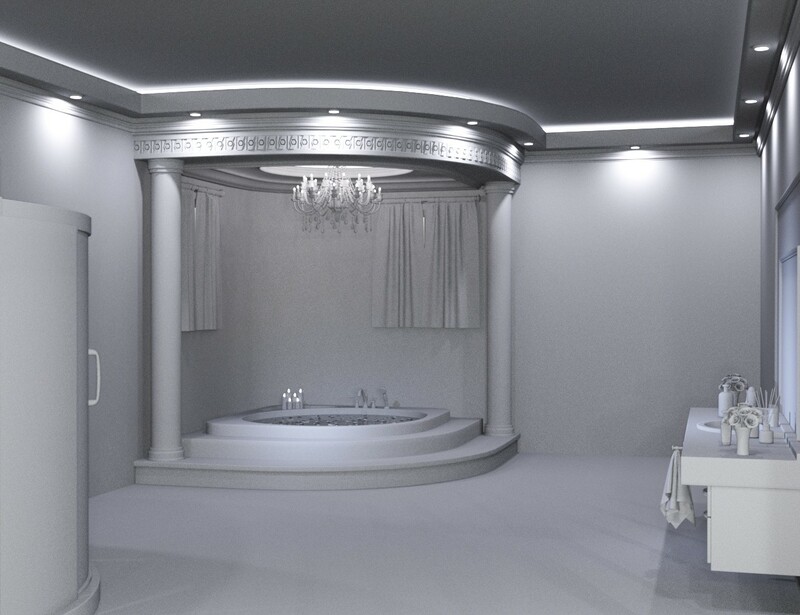 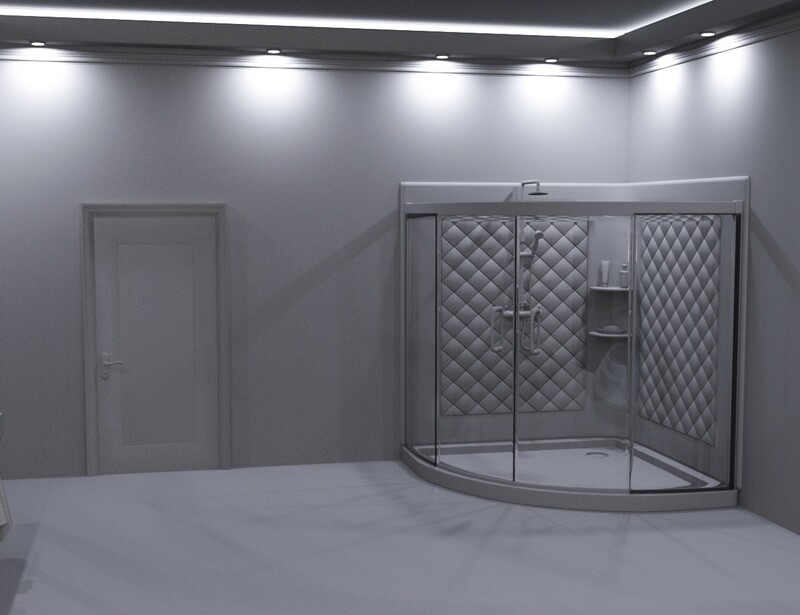 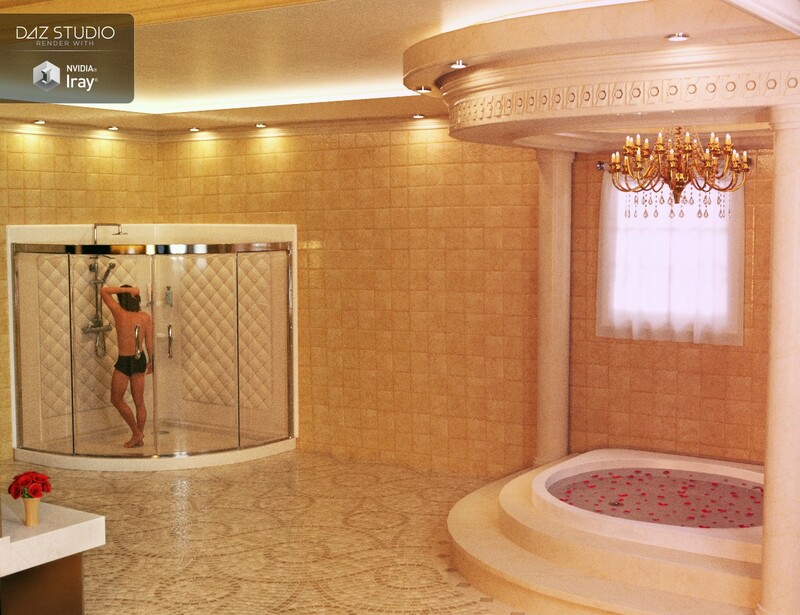 A luxurious bathroom with a large bathtub, a chandelier, a decorated mirror, a shower and a toilet. 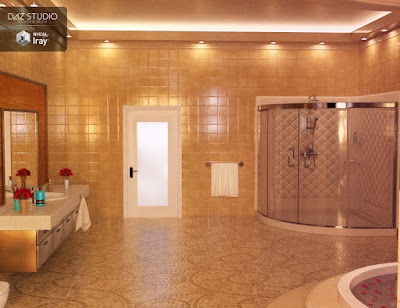 The tub is filled with rose petals and the set comes with various toiletries such as toothbrush, shampoo, soap, lotion, etc. 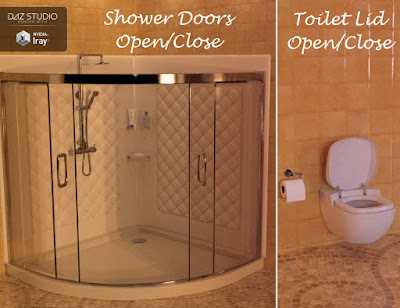 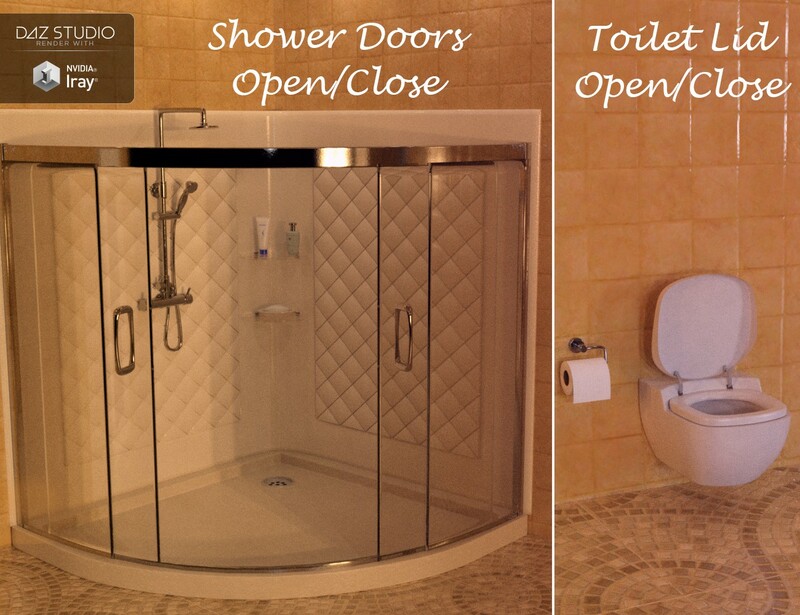 and has shower doors and lids.